But Browder said he does not know what the Russians would have offered in return. "I do know the KGB, the FSB, would have studied their targets carefully and construct an offer that's appealing and sizable enough to be consistent with what they're asking for," he told the committee. Aside from Trump Jr., Trump top adviser and son-in-law Jared Kushner and then-campaign chairman Paul Manafort also attended the June 2016 meeting with a Russian lawyer, who, according to Trump Jr., was purported to have damaging information about Hillary Clinton that could be helpful to Donald Trump's presidential campaign. In his opening remarks before the committee, which is probing Russian meddling in the 2016 and possible Trump campaign ties to the Russian government, Browder detailed his investigation and efforts to shed light on "massive corruption" within Russia. Browder said through his investigation, he "made Russia a better place for some period of time" but as a result, exposed billions of dollars in corruption connected to the Putin regime. The financier explained that as a result of his digging, he was expelled from the country after being deemed a "national security threat." It was during that time, Russian officials raided his Moscow office and subsequently stole corporate documents connected to investment holding companies of funds he advised. He hired lawyer Sergei Magnitsky to investigate why his office had been raided, Browder said, and the two discovered Russia's Interior Ministry had seized the company's documents in order to commit fraud, effectively stealing back $230 million in taxes paid to the Russian government, from the Russian government. "It was theft of money that was originally Russian government money," Browder claimed. Magnitsky was later jailed for his efforts in the investigation of widespread fraud, and, according to Browder, was tortured repeatedly and was denied medical treatment by prison guards -- leading to his death while in custody in the Moscow prison. Browder also testified that while Russian lawyer Natalia Veselnitskya, who had attended the Trump Jr. meeting in 2016, has claimed she never worked for the Kremlin, she had previously been on a "massive campaign" to lobby against the Magnitsky Act, and helped disseminate false stories alleging Magnitsky was not killed in prison, in an attempt to get the act quashed. "It was a campaign to effectively cover up a murder," said Browder. One of the individuals hired by Veselnitskya to help guide the lobbying campaign against the Magnitsky Act was Glenn Simpson, of opposition research firm Fusion GPS -- the very same firm that hired spy Christopher Steele to compile a dossier with negative -- if unsubstantiated -- information on Donald Trump's ties to Russia. Simpson, according to Browder, had pitched stories to media outlets before Browder came to D.C. to help lobby in favor of the Magnitsky Act. 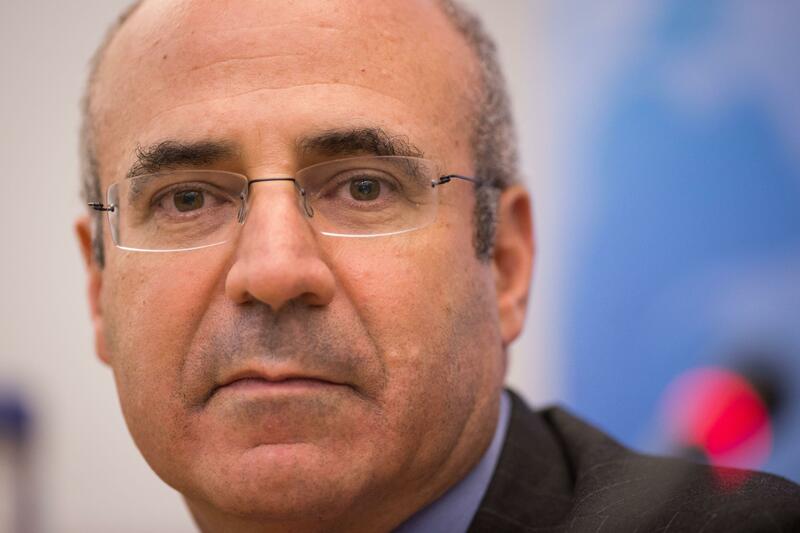 The Magnitsky Act eventually passed with the help of Browder's lobbying efforts in 2012, effectively punishing Russian officials for Magnitsky's death by barring a variety of Russians from entering the U.S. and from using American banking systems. Browder pointed out that Putin was so infuriated by the adoption of the Act, Russia tried Magnitsky for his "crimes against the Russian government," three years after he had died in prison. Putin, in retaliation, barred a dozen U.S. officials from entering his own country and halted the American adoptions of Russian children. While the topic of adoptions has been a repeated refrain for Trump associates in describing the agenda for the June meeting, Browder says, "Russian adoptions was really code for Russian sanctions." "With certainty, no one was talking about adoptions at that meeting," Browden said. "They were talking about the repeal of sanctions so Russian murderers can freely travel and keep their money." Further, the Russian intelligence community would have been "well aware of the meeting in advance" of the Trump Tower gathering, Browder told the committee. "It's entirely plausible they would have looked at all the people who influence leaders in America and see if they're bribable or extortable," he said. "This is what they do." When pressed on the effectiveness and need for further sanctions on the Russians government, Browder theorized that "when it impacts Putin's money personally, he's afraid of having his money frozen and seized." He added, "targeted sanctions are 100 times more upsetting to Russians than broad sanctions in Russia."